My good friend, Bill Hawkins, picked me up on a rainy, Nashville Friday and we began a trip that I will remember for a long time. I had never done anything like this before. So I was extremely thankful and excited as we boarded the plane, got to New Orleans before we could even eat our peanuts, and headed south to Venice, LA- about as far south on land a person can go. I had no clue how blessed I was going to be. It started when I learned that we were fishing with Mike Frenette. 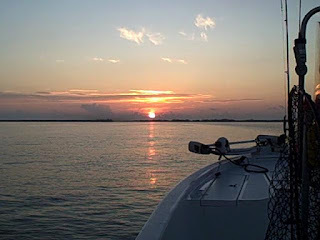 Over 20 years experience has earned Mike Frenette world wide recognition as the very best charter captain in South Louisiana. 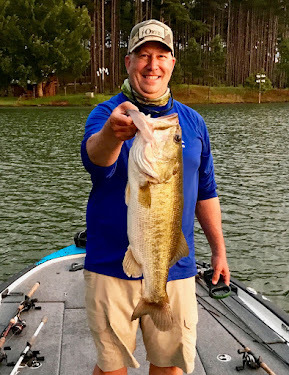 Mike currently has his own television show ``Outdoor Adventures With Mike Frenette", which airs in the New Orleans area, and a fishing segment each Thursday on WVUE Channel 8. He has also appeared on ESPN's ``Salt Water Journal" with host Mark Sosin, and on TNN's ``Great American Outdoors" with Ron Shearer, along with other guest appearances. Mike has a great set-up- right on the delta. His boat is on the water, his lodge right over it, so all we did was eat, sleep, and fish. The eating was about as good as it gets. Mike has his own cook, Gloria, who had authentic Cajun cuisine waiting after each day of fishing. Her dishes included grilled redfish, creole pasta, and shrimp jambalaya. I also have to mention the unusual beauty of the Mississippi delta. It is a place of resurgence following the devastation of Katrina. As we skimmed the shallow waters of the brackish water, it was surreal to see new structures and destroyed structures in the foreground of God's beauty. There were rusted out barges being overtaken by dazzling vegetation and brand new buildings going up on the shore. There were the amazing engineering of the gas and oil plants scattered in acres of high reeds and alligator water. It was like something out of a James Bond movie as we stormed through the reeds into open water. The no wake zone looked like a scene from water world and the environment constantly changed from unmarked natural marsh, to open ocean, to unexpected natural gas pumps dotting the landscape. The water depth would always range from 3 to 6 feet. We anchored in some places that looked like a vast ocean only to realize that for miles the water was no more than 3 1/2 feet deep. I'll write later about the fishing part and the amazing redfish that we stalked. But there is something about being there that makes a person feel so alive. It was a therapeutic escape and an experience I will always treasure.